We welcome visitors every day (except Monday) between 2pm and 4pm. A standard single ticket price is £5 (including VAT) per person and a single Gift Aid ticket price is £5.50. The latest time for entry is 3.30pm. Tickets can be purchased online or obtained on the day from the Treasury. If you are a UK tax payer please consider paying the gift aid price. 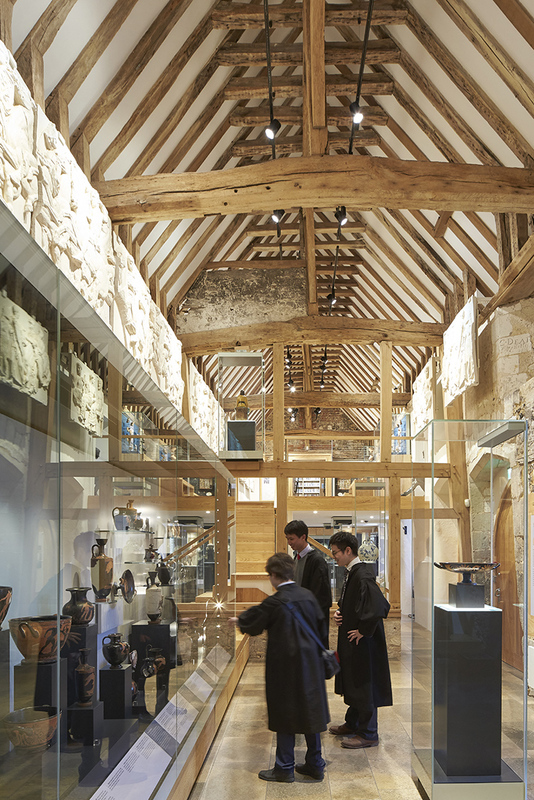 As a charity, Winchester College can claim gift aid on the Treasury admission tickets if visitors who are UK tax payers give a voluntary donation of at least 10% more than the standard admission fee. The income from your ticket and the gift aid we can claim back will contribute directly to the maintenance and conservation of the Treasury and the collections. 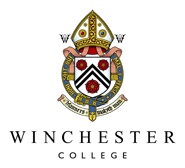 Winchester College Registered Charity No. 1139000. Please select your chosen date for visiting and proceed to the booking and payment page. You will receive confirmation by email of your booking. PLEASE NOTE: The Treasury will be OPEN on Easter Monday and Spring Bank Holiday Monday. The Treasury will be CLOSED on Saturday 15 June for Winchester Match. 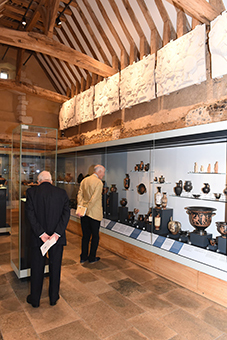 The annual ticket for Treasury provides an unlimited number of visits to the Museum for one year from the date of purchase, which means you can drop in at any time during our normal opening hours. Be the first to view our constantly changing programme of exhibitions, chat to the Curator and support the unique collections for future generations. More information. All online payments are processed using Blackbaud Merchant Services. This service ensures the highest levels of security are applied to processing your payment and personal information through its PCI-compliant solutions and Payment Gateway. Please note that all fields marked with an asterisk on the booking form require completion. For group visits by academic and special interest organisations please view more information here.